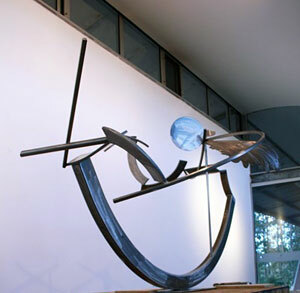 Anita Larkin’s exhibition Leaping Chair, which was on display at Wollongong City Gallery from 30 September - 20 November 2011, has been reviewed in the respected international publication World Sculpture News. Gina Fairly praises the ‘technically luscious objects’ and the exhibition’s ability to allow the viewer ‘to rediscover a sense of wonder.’ The Winter 2012 World Sculpture News is still available and the full review can be read below. 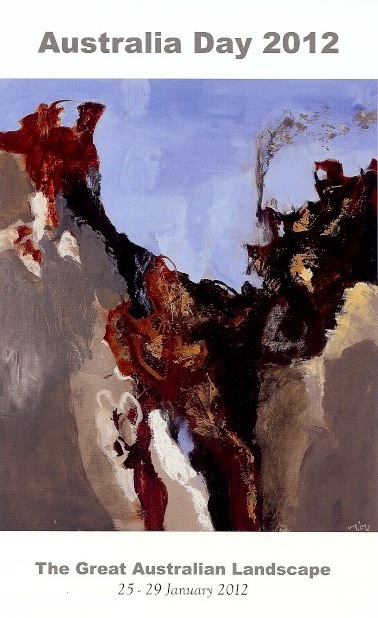 John McDonald has reviewed Phillip King: Genghis Khan and recent monoprints in the Sydney Morning Herald’s Spectrum of February 18-19. The exhibition is showing at Defiance Newtown until February 25th, so get in soon to see King’s wonderful pieces. Ulvi Haagensen has created an online exhibition of animated works, utilizing her molded steel wire pieces to create stories about the everyday. Defiance artist Russell McQuilty's sculpture Tooraweenah Morning has found a fantastic home outside the Muswellbrook Regional Arts Centre. Defiance Gallery would like to thank Brad Franks (Arts Centre Manager) of the Muswellbrook Regional Arts Centre and The Muswellbrook Shire Council Art & Culture Advisory Committee for making this opportunity possible. The Council are planning a ceremony in March this year to acknowledge the work and the partnership with the MRAC, Russell McQuilty, Defiance Gallery and the Council. Tooraweenah Morning can be viewed on the corner of Bridge & William Streets, Muswellbrook NSW. 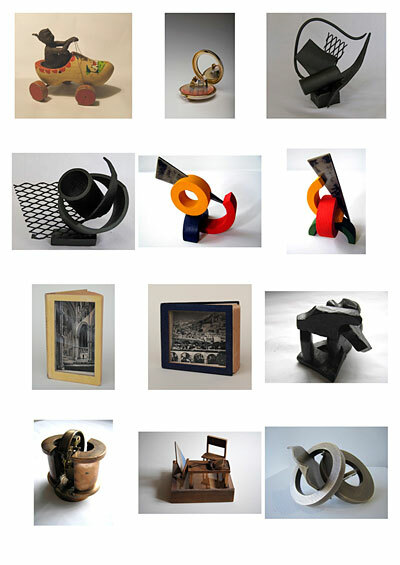 The artist has also lent a maquette of the sculpture which is on exhibition in the gallery. 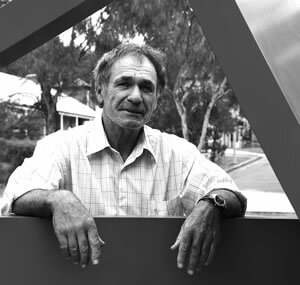 Defiance Gallery is working with Woollahra Councilor Ian Plater on an exciting temporary art installation program. 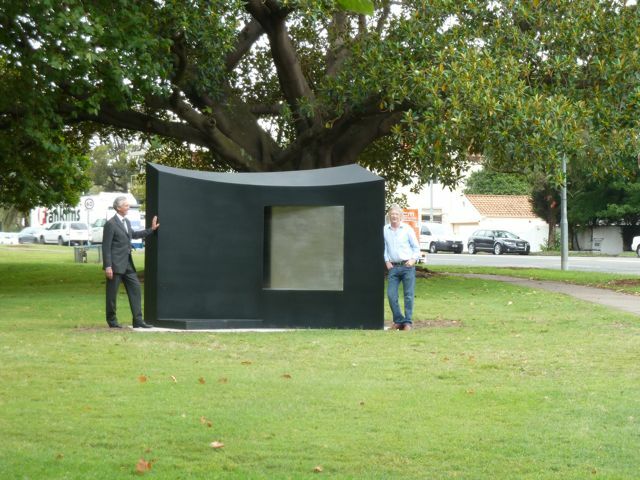 To date, Campbell Robertson-Swann's sculpture One has been installed in Lyne Park, Rose Bay and Russell McQuilty's Red Mountain has a great position in Guilfoyle Park, Double Bay. 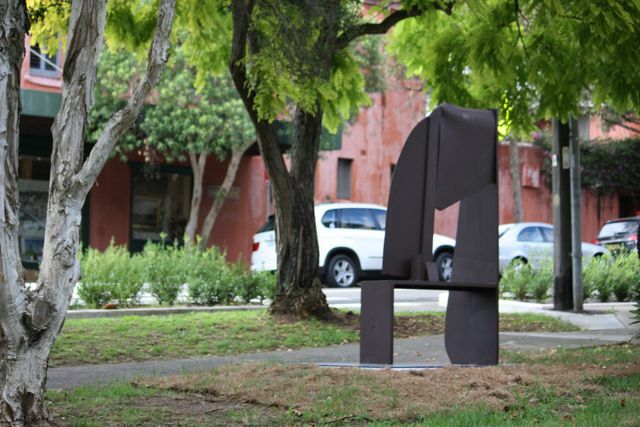 Woollahra Council's Public Art Advisory Committee's innovative and forward thinking has created this great opportunity for sculpture to be enjoyed by the public all year round. As Mayor Susan Wynne states, "the diversity and appreciation of art is very important in our community. The aim of this new temporary art concept is to initiate conversation and debate around art and its role in our society." The works will be on display until December 2012. 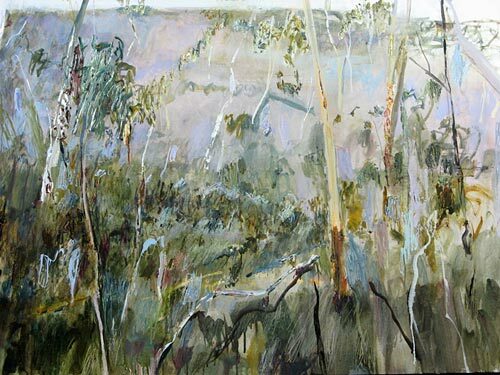 Tim Allen and Charmaine Pike have been invited to exhibit in The Great Australian Landscape, the Australia Day themed show to be held at Tim Olsen Gallery. The Sydney Morning Herald asked twelve leading Australian artists to create works depicting their vision of the country's national character. 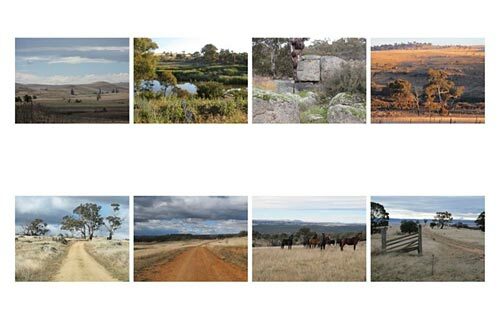 The exhibiton celebrates the incredible diversity of our place and also features works by John Peart, Luke Sciberras, Rosella Namok, Guy Maestri, Angeliki Androutsopoulos, Jo Bertini, Leo Robba, James Drinkwater, Peter Hadjimichael and Mary Tonkin. The works will be featured in a wrap around feature in the SMH on January 26th and the exhibition will be opened by editor Amanda Wilson on the 25th January from 6-8pm. 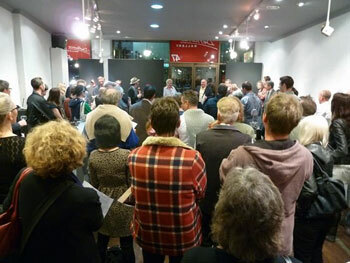 Last night Terence Maloon opened the 16th Annual 6x6x6 Inch Miniature Show to a full house. Many thanks to Terence for his insightful and enlightening opening speech. 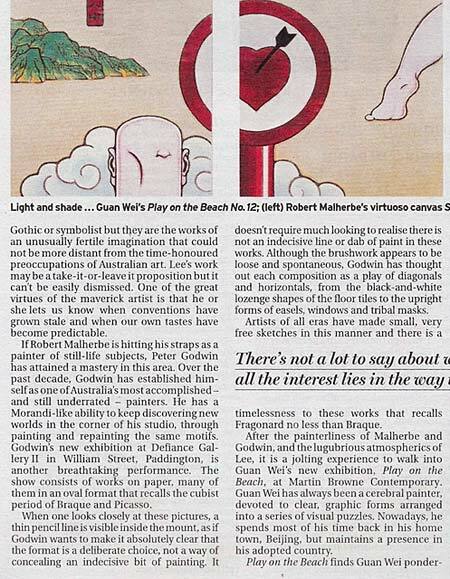 This weekend's Spectrum (Sydney Morning Herald) included a glowing review of Peter Godwin's exhbition at Defiance Paddington. The show will be on until the 5th of November, and is well worth a visit. Next week PEARLS will be hosting its annual charity auction to raise funds for the charity's important research into preeclampsia. Preeclampsia is the most common complication of pregnancy, a major cause of premature birth and accounts for around 780 infant deaths each day throughout the world. This year's auction catalogue has a terrific line up, featuring works by prominent Australian artists including Euan Macleod, Peter Godwin, Tim Allen, Daniel Kyle and Sue Nettleford. It is set to be a great evening, held at Sydney's iconic Mint and with fashion designer Alex Perry acting as Master of Ceremonies. This is a great opportunity to have fun, help an important cause and even take home a fabulous piece of art! http://www.smh.com.au/entertainment/art-and-design/lines-of-thought-20110915-1ka5m.html Image: Ganymede's Run, by Michael Buzacott (2008-2011), from the Abstraction exhibition. 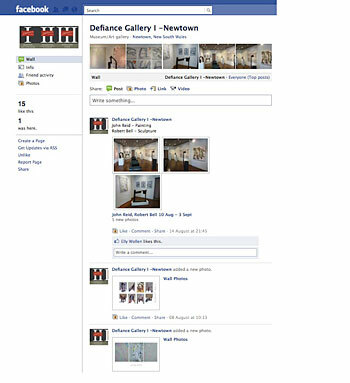 Defiance Gallery is now on Facebook! Defiance Gallery is now on facebook. ‘Like' us to stay in touch with the latest exhibition and artist news and to share your feedback! Five Easy Pieces was opened last week to great acclaim. Defiance Director Campbell Robertson-Swann devised the concept of this show and it was first exhibited in 1999. 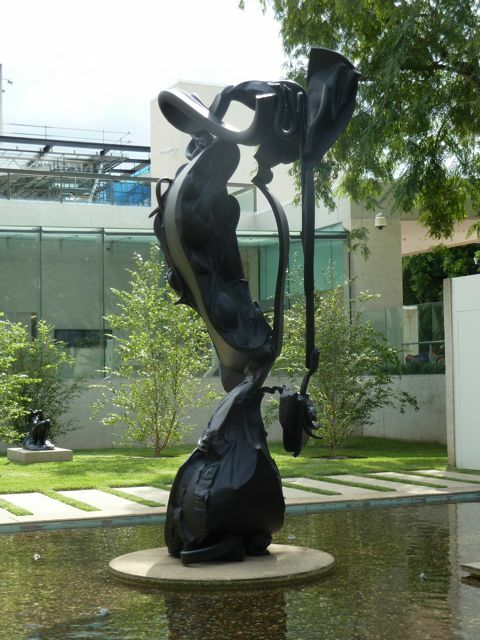 The exact five steel elements were issued to 34 upcoming, mid-career and leading Australian and international sculptors to create a sculpture. The rules: the steel can be cut and manipulated in any way, nothing can be taken away, all the steel must be used, the only additions allowed are welds, and the work can be painted. The show had two openings, on Tuesday the 6th of September artists and critics were challenged to match sculpture to sculptor without the use of a catalogue. 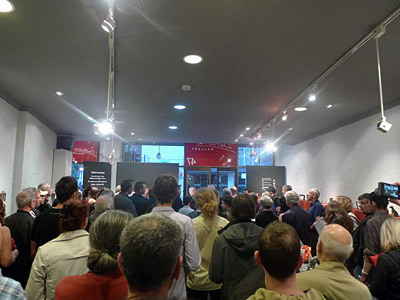 On Wednesday the 7th the exhibition was opened to the general public. Great thanks to Lucio Galletto OAM, who opened the show with a very entertaining speech. Thanks also to all participating sculptors and galleries, and congratulations to Defiance artist Angus Adameitis who correctly identified the greatest number of works on Tuesday night and will be rewarded with dinner at Lucios! The exhibition continues until the 15th of October. 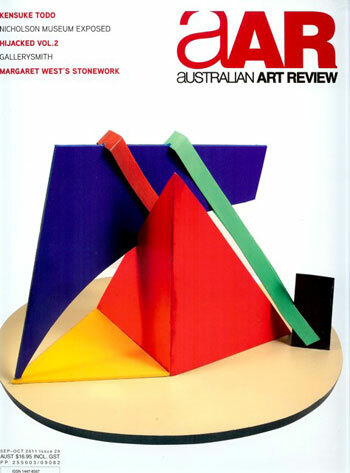 The new September/October 2011 edition of Australian Art Review features Phillip King's 'Blue Slicer' (displayed in Defiance last year) on the cover and contains a great article on Phillip King's career to date and his plans for 2012 by Joseph Brennan. Defiance Gallery's newest artist Daniel Kyle was recently part of a group exhibition at the Walcha Gallery of Art. 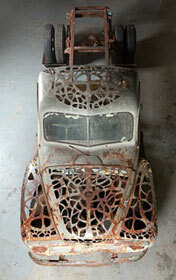 The exhibiton also featured the work of sculptors Stephen King, James Rogers, and Francois Jaggi. Defiance Gallery is excited to welcome new artist Daniel Kyle. Daniel's work was just shown in our Annual Landscape Show to great acclaim. Daniel recently graduated from the National Art School, Darlinghurst. Daniel chooses to paint en plein air in order to try and catch the ever-evolving characteristics of the landscape. To this end, he prefers to work in the changing light of the early morning and late afternoon. Daniel emphasises colour, shape and movement. The artist plays with elements of the space, cropping and moving objects such as trees and rocks and manipulating the foreground and background in an attempt to achieve the perfect balance between tension and slack within a resolved composition. 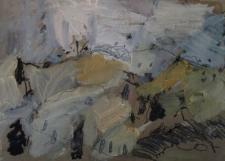 Daniel's work has also appeared at the Walcha Gallery of Art, where he won first prize for painting at the Walcha Show. He also won the 2010 Inner City Clay-workers award. The artist is working towards a solo show with Defiance. 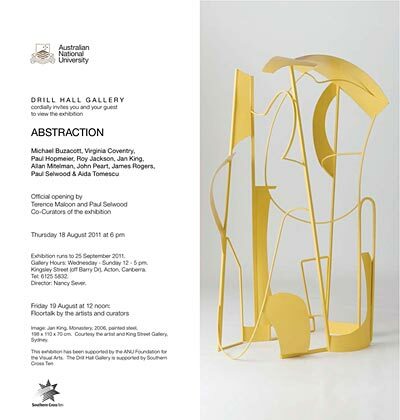 An exhibition of contemporary Australian abstract art will open at the Drill Hall Gallery on 18 August 2011. Terence Maloon and Paul Selwood have curated an exhibition aiming to show the continuing longevity and vitality of abstraction as a creative language in Australian art. 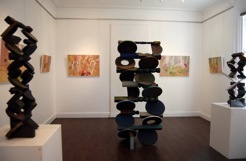 The exhbition features ten participating artists, five painters: Virginia Coventry, Roy Jackson, Allan Mitelman, John Peart and Aida Tomescu and five sculptors: Michael Buzacott, Paul Hopmeier, Jan King, James Rogers and Paul Selwood. Abstraction will be officially opened by the curators of the exhibition Terence Maloon and Paul Selwood on Thursday 18 August 2011 at 6pm. The exhibition will continue at the Drill Hall Gallery, Kingsley Street (off Barry Drive), Canberra ACT, until 25 September. An auction will be held on Sunday 21 August to raise funds for Taronga zoo conservation endevours. The auction features the work of 20 contemporary artists including Defiance artist Dave Teer, John Olsen, and Wendy Sharpe. These artists spent three months at Taronga, and have donated works inspired by the zoo. 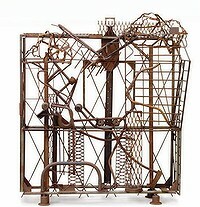 Bonhams will auction the works and 100% of the proceeds will go to the Taronga Foundation. Ingrid Morley has an amazing sculpture called 'Lacie Lorrie' in the upcoming LOVE LACE exhibition at the Powerhouse Museum. This spectacular, ground-breaking exhibition of contemporary lace works by artists and designers from around the world showcases lace design in ways never before seen or ever imagined. See more than 130 lace works by 134 artists from 20 countries, drawn from finalists of the Powerhouse Museum's third International Lace Award that attracted an outstanding field of 700 entries globally. A disused farm truck revived by its impressive metal lace body, a sculpture of a female uterus made from delicately knitted human hair, a replica Ford motor engine created from thin crocheted steel, and a galvanised steel wire fence with its spectacular bobbin lace butterfly design, are among some of the extraordinary and provocative works that are expected to surprise and delight! 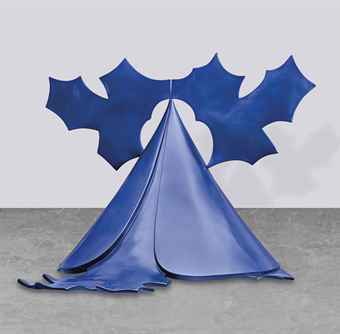 This unique exhibition features two and three dimensional and virtual works that range from large-scale installations, screens and sculptures; textiles, wall hangings and lighting; to fashion, fashion accessories and jewellery. 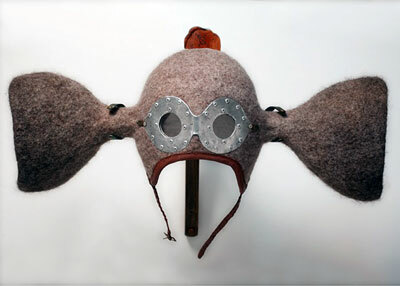 Unconventional materials including human hair, horse hair, titanium, mulberry paper, tapa cloth, copper and silver wire, and optical fibres have also been manipulated with traditional techniques to create such revolutionary works. In contrast, beautifully-constructed textiles, artworks featuring materials from the natural environment inspired by ancient skills, and exquisite pieces featuring the finest of lace techniques including needle and bobbin lace, are also presented with a contemporary twist. The first prize winner and five category winners (traditional techniques, fashion, built environment, digital multi-media, and Australian and New Zealand tertiary students) of the 2010 Lace Award will be announced and awarded prizes from a cash prize pool of A$40,000 when the Love Lace exhibition is officially opened at the launch of Sydney Design 2011. Ingrid Morely, Lacie Lorrie. photo courtesy of Sotha Bourn, copyright Powerhouse Museum, Sydney. Image: Ingrid Morely, Lacie Lorrie. photo courtesy of Sotha Bourn, copyright Powerhouse Museum, Sydney.